Last night my friend Carol invited me to listen to Sheryl Sandberg, COO of Facebook and renown Lean-Inner, speak at an IQSquared event in London. While I know who Sandberg is, I am not some fanatical fan. Sandberg lives in another world from me, she’s a tech Superwoman from Silicon Valley. She is so bright, so successful, so perfect that I didn’t think that I was going to like her. I prefer flawed, damaged souls with a sense of humour, not rockstars who are only going to make me feel bad, especially rockstars with perfect teeth and hair. No way was I going to like her. But like pilates, I knew going would be good for me. Sandberg came to promote her new book Option B Facing Adversity, Building Resilience and Finding Joy. 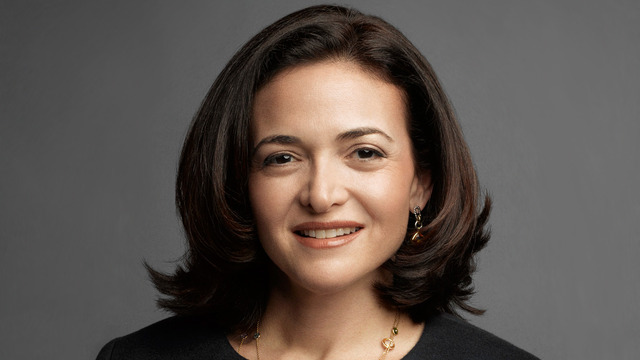 Sandberg lost her beloved 47 year-old business man husband Dave Goldberg suddenly two years ago. Their children were 7 and 10 at the time. They were so bereft at their father’s funeral that they collapsed outside the car, wailing on the grass, unable to go any further. Sandberg posted a message on FB a month after her husband died where she discussed her grief. She was hesitant to make her thoughts public, but then thought that nothing could be worse than how she felt. So she hit send. That post has been shared over 400,000 times. The sharing and subsequent replies Sandberg received sparked her recovery. She was no longer alone in her grief. And with that recovery came her book. Anyone in the audience make jokes about how old you’re getting, she asked us. I bravely raised my hand, openly admitting to several hundred people that the ageing process had indeed begun. I will never make getting old jokes again. Never,” Sandberg told us, as her eyes welled up. She explained that her husband didn’t have the option of growing old, nor she growing old with him. While Sandberg may be super polished and professional and while she may use cloying terms like ‘lean-in’ too much for the cynic in me, she also let her guard down last night. She showed she was vulnerable, not always superhuman, sometimes just human. It was only for a few seconds, but that’s all I needed. Now we can be friends, which is perfect timing because I am going to be in the states a lot more, and I could use a few. The door is open. Sheryl, I’m reaching out here. Imagine that Dave was driving your kids when he had the heart seizure. Sandberg said she felt immediately grateful that her children were still alive. Thinking what could be worse helped her to be grateful for what she did have. To build resilience, which is like a muscle (i.e. we don’t have a finite supply) Sandberg recommends helping others. It makes you feel good. It helps both of you. And finally, when comforting someone who is grieving, be specific. Don’t say, ‘Is there anything I can do to help?’ because that just shifts the burden onto the bereaved. Show up. Don’t be shy. Talk to them. Text someone from the lobby of the hospital and say, I’m here. Can I come up?